Happy Monday! I shared with you guys a few weeks ago that I’m partnering with Home Depot this year working with them on their DIH ( Do it Herself) Workshop… which I’m SO excited about!!! Well friends… this is the week! 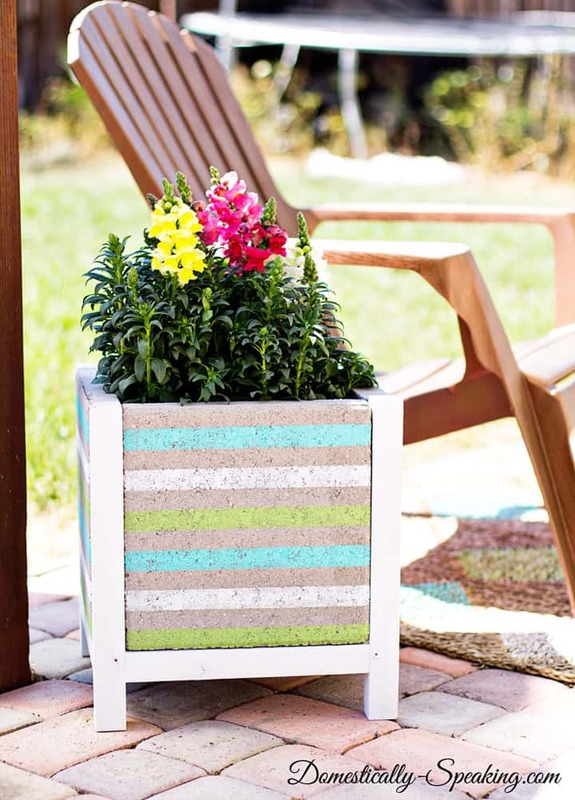 On Thursday is this month’s DIH Workshop and your local Home Depot will be showing you how to build this cute… And perfect for these warmer months… Paver Planter. I went with a fun beachy vibe. 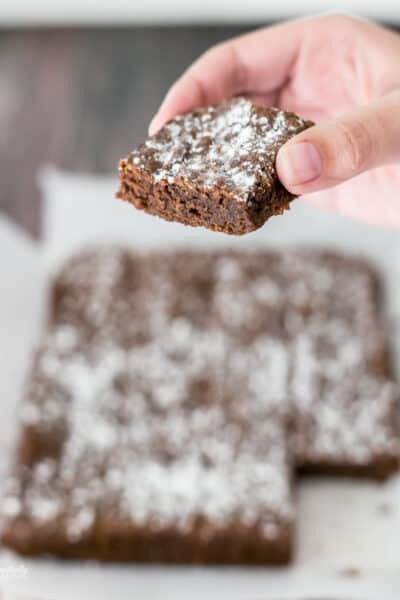 Here’s the version you can learn how to make this Thursday. 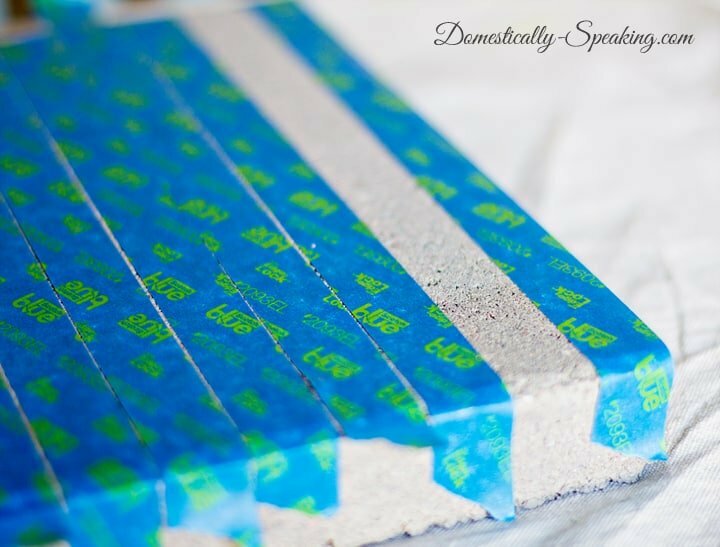 There’s so many ways you can customize this easy project. 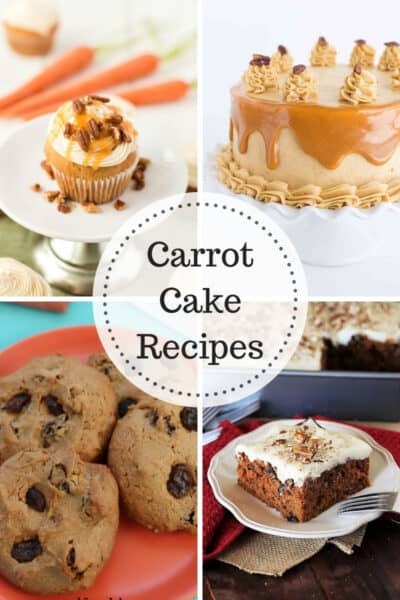 Start by cutting four 16″ pieces and eight 12″ pieces. Then you need to build the frame. 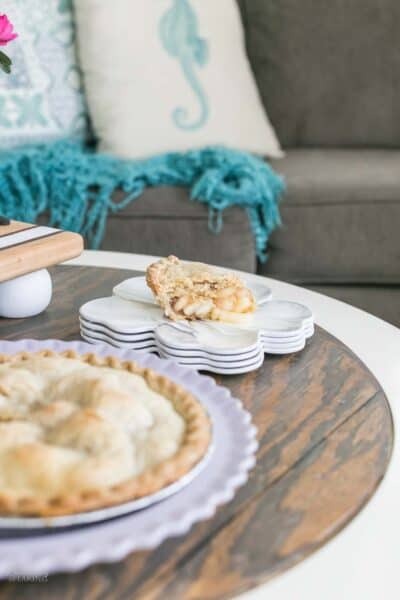 The 16″ pieces are your vertical pieces and the 12″ pieces are the ones that connect horizontally between the 16″ pieces and the center support frames. First connect a 12″ piece to a 16″ piece. 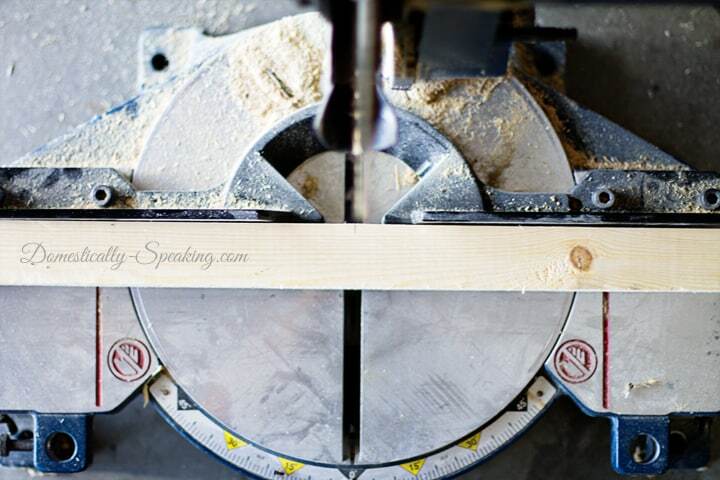 The top of the 12″ pieces needs to be 12″ down from the top of the 16″ pieces. I used a pencil to mark that spot. 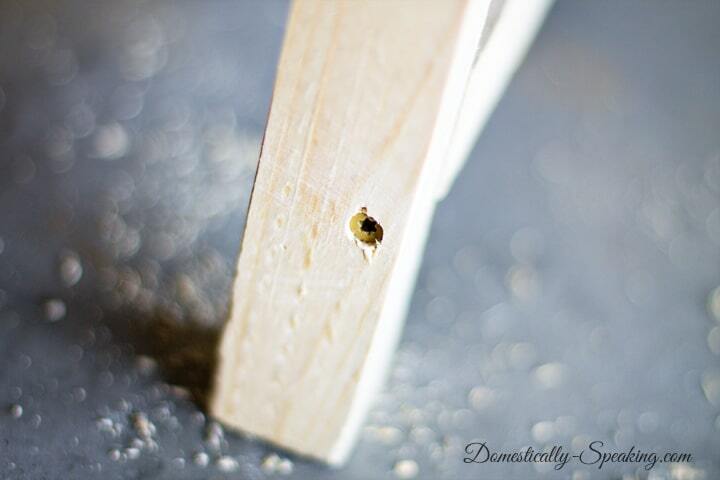 Use a drill bit slightly smaller than the width of your screw and drill a pilot hole through the two pieces. You want countersink your screws so the screws aren’t sticking out, but are flush with the wood. 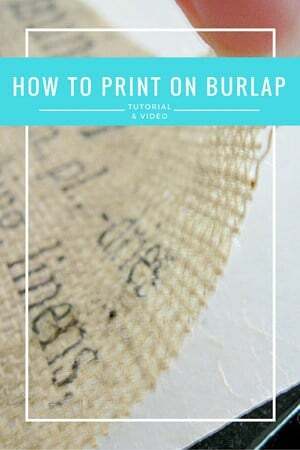 This is super simple to do. You want to find a drill bit that is the same size or just slightly larger than the head of your screw. 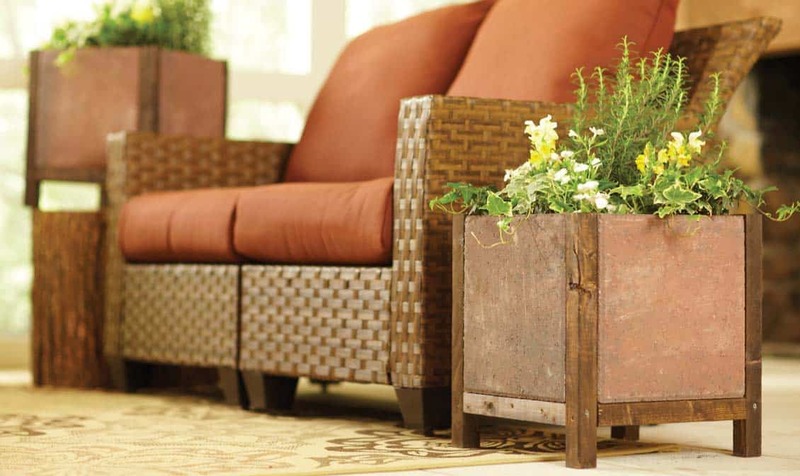 Use that drill bit in the holes that are on the outside of the planter. You just need to drill in about 1/8th of an inch. Just enough for the screw head to get inside the wood. I found it easier to have a helping hand during this stage of the building. You want to keep it level. Also you with be having another screw come in from the other side, so you need to leave space. I put one screw in the lower left corner so the other side could have it in the upper right corner. 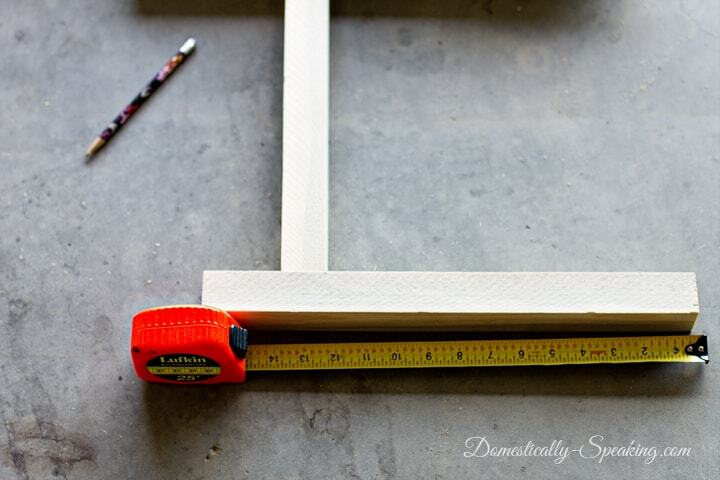 Continue attaching the four 12″ pieces between the 16″ vertical frame until you have a box frame. You will have four 12″ pieces left. 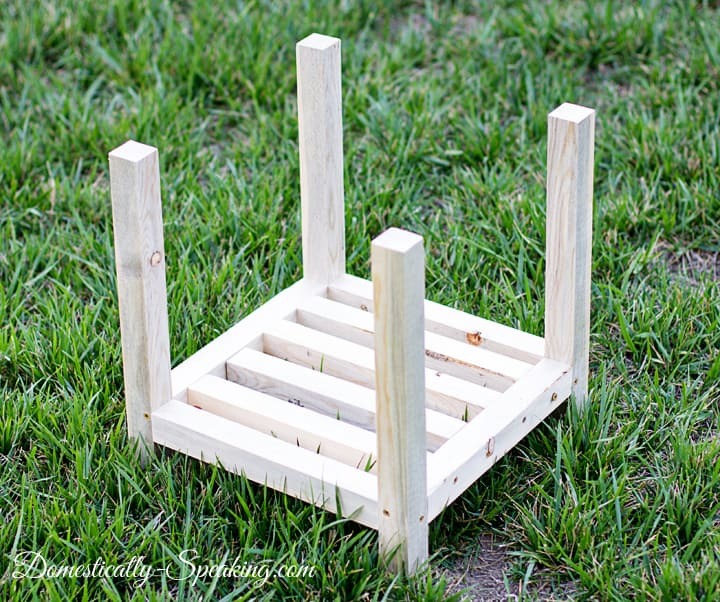 You will place those pieces in the center to create support structurally and a base for your landscaping fabric to sit on. Make sure to give it a good sanding when finished. Then I used Rust-oleum’s Primer and Paint in one spray paint in white. I gave it 2 light, even coats, letting it dry about 30-60 minutes in between the coats. For the pavers I used ScotchBlue painter’s tape to create some cute nautical stripes. 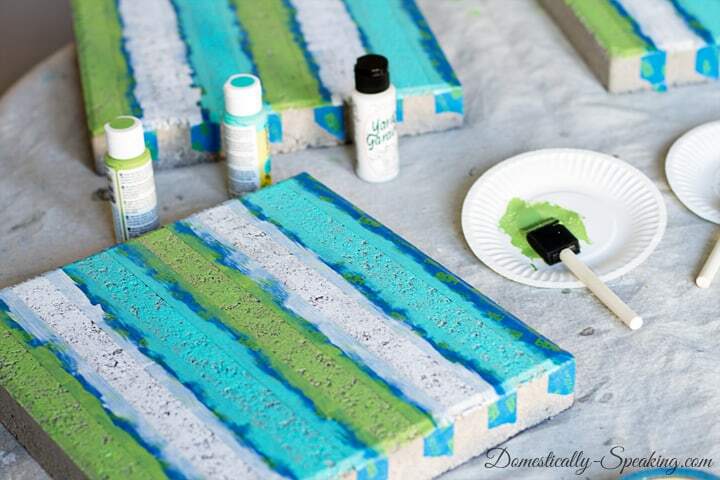 I used some outdoor acrylic paints in a beachy blue, white and green. I let the paint dry about 30 minutes than I pulled off the painter’s tape. I let it dry another hour and then attached the pavers to the wood planter structure. I used Liquid Nails. 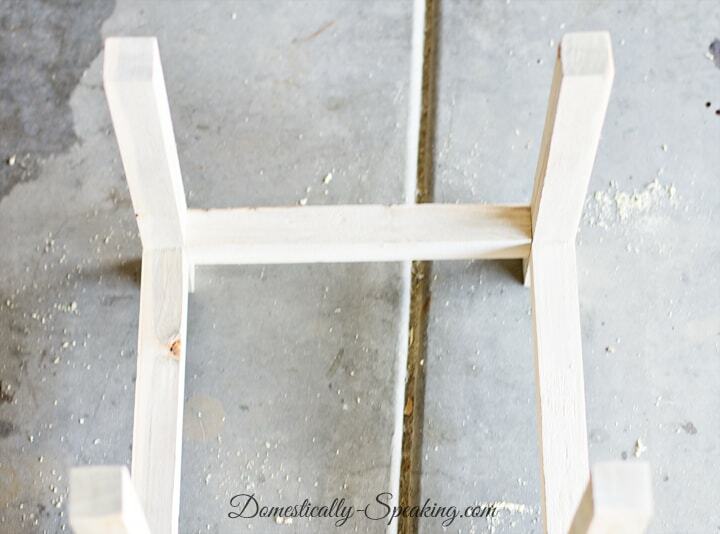 Place a thin strip down the planter sides. 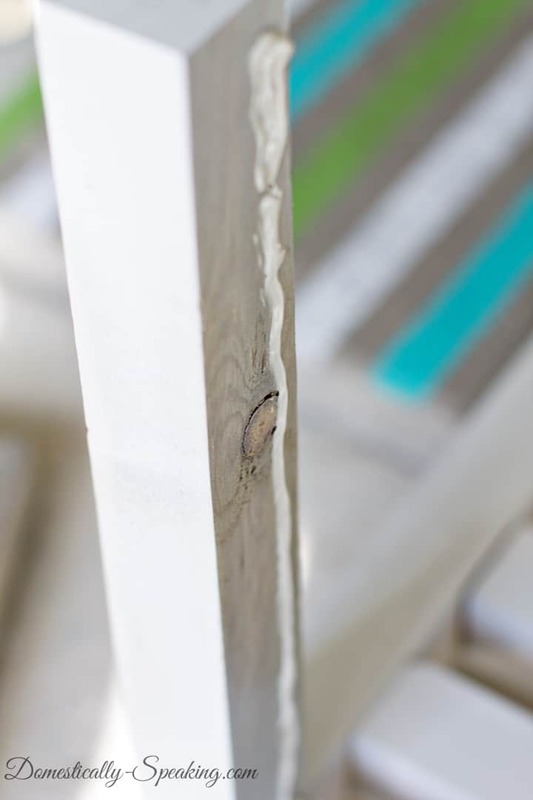 Place the strip of adhesive towards the back part of the wood, so if it oozes out it won’t come to the front side. Continue to repeat till all 4 pavers are in place. 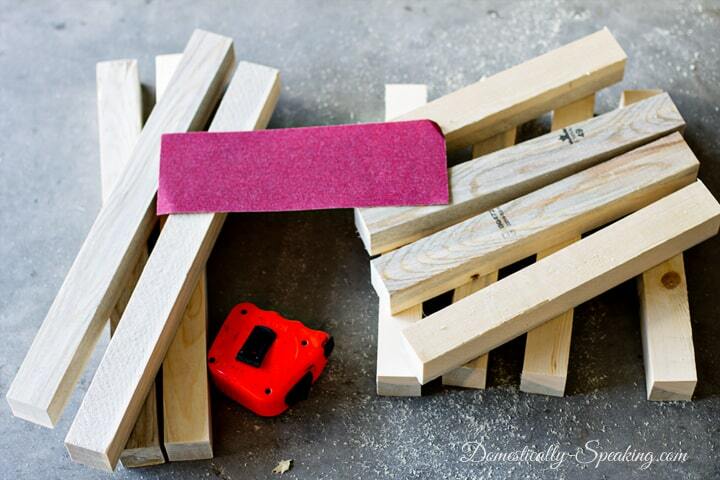 Put bungee cords around to help keep everything in place while it dries. When completely dry (see your adhesive directions) you are ready for some planting. Place landscaping fabric inside the planter box to line the box and hold the potting soil. Then fill with potting soil and the plants and/or flowers of your choice… I went with Snapdragons. This Thursday you can go to your local Home Depot to see how to make one in person. You can click on any image or this link to get to the Home Depot sign up page to get yourself on the list for your local Home Depot’s DIH Workshop. 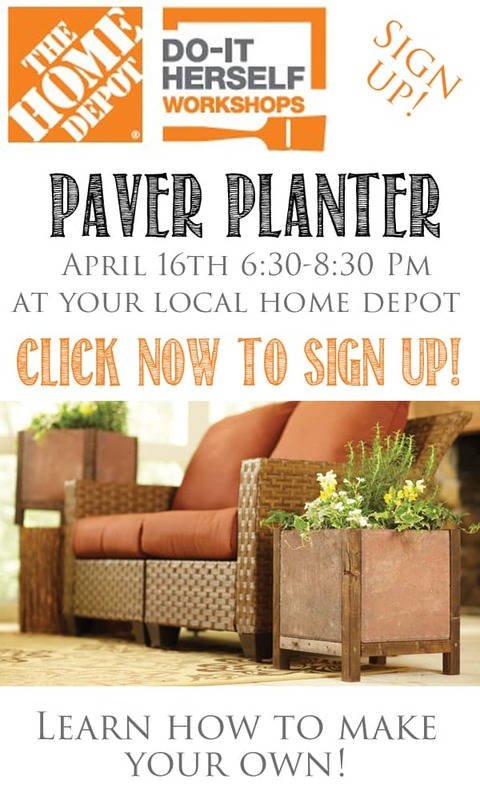 Sign up for the Paver Planter DIH Workshop. And even if you don’t signup up, but the day of your schedule changes and your available you can always just show up… They’d love to have you! I must have missed this project when you first posted it. I really like the idea of using pavers to make a planter. 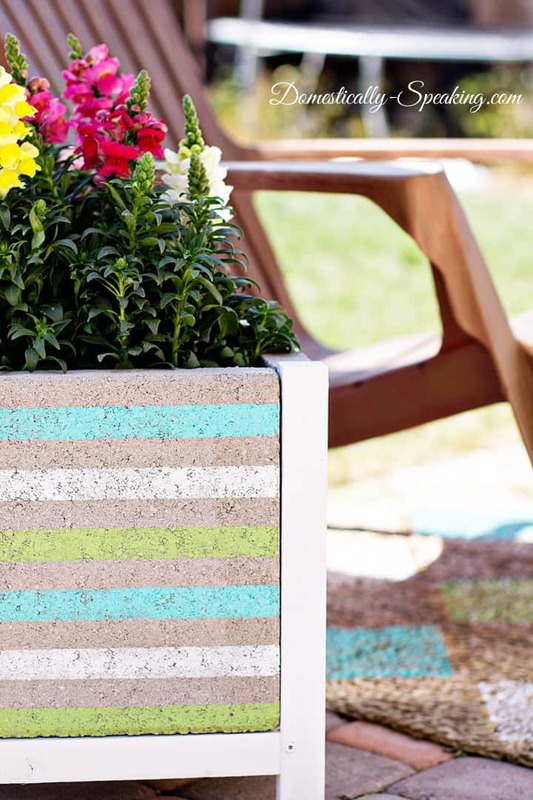 Adding stripes to the side of the pavers adds a fun pop of color! 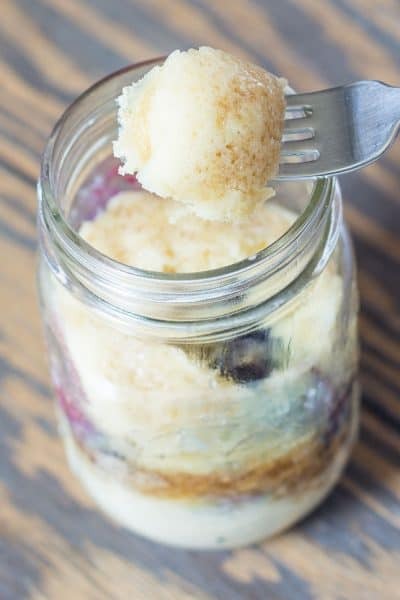 The idea is not only superb also just awesome to try! I can’t wait to try them for my garden as well. Yes, those stripes are so fun and I love all the colors. Anyway, great try. Very helpful for me because I am a great fan of gardening and I love plants. Now I can decorate my house with all theses ideas. 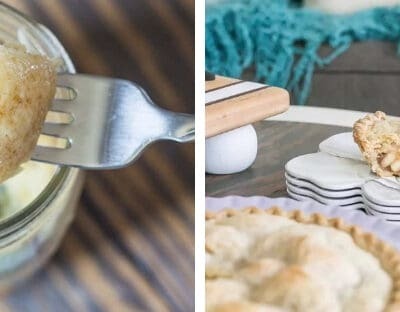 I want to thank you for sharing this blog. Oh man, that’s cute with the paint. I went last week to do the class and was so disappointed that we didn’t do the one like this but did one that was just made out of concrete. It looked very modern and not classy like yours. Hi Rose!!! 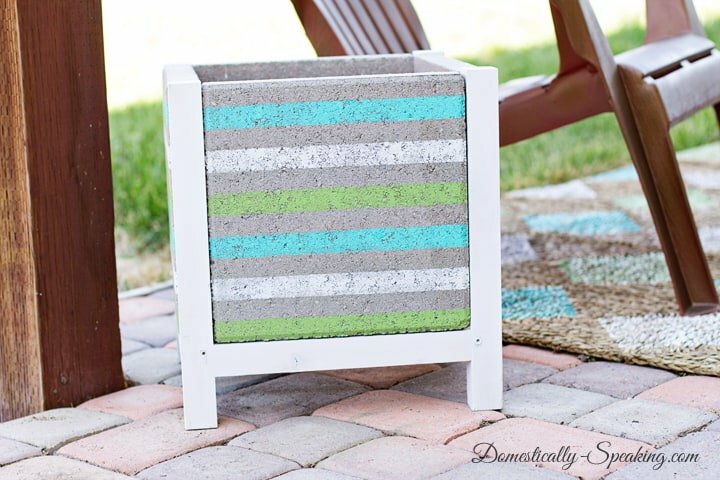 Mine is made with the concrete pavers too… they just got a fun striped paint job. 🙂 I love this project because there’s so many possibilities to customize it to fit your style and your home. I like how you made with the wood also. We were just taught how to glue five pavers together. I’m glad you have the tutorial on here, I think I’ll make one of those this week. Your planter is SO COOL! I love the stripes! I can see why it is such a popular share right now. It’s super cute. 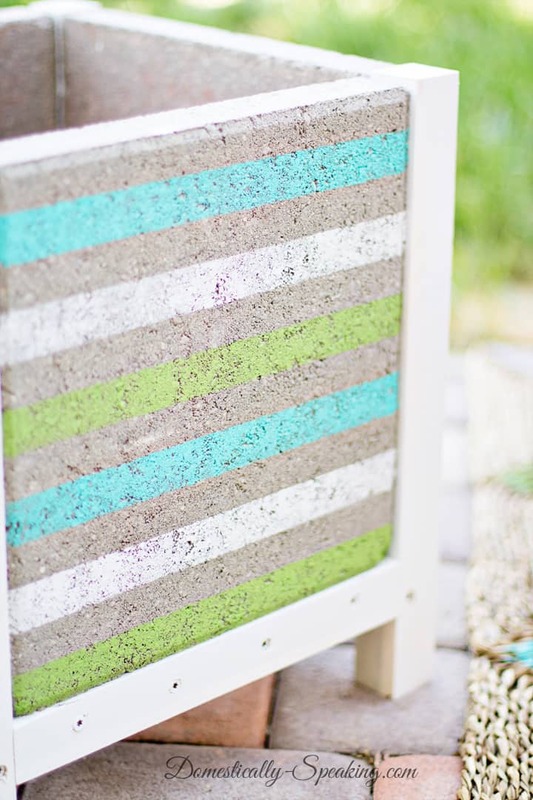 I love the fun beachy stripes you added! A great pop of color! Thank you Jenna!! I’m loving it too! These might be my favorite so far – those stripes are so fun! Love the colors!! Thank you Claire… love anything beachy!